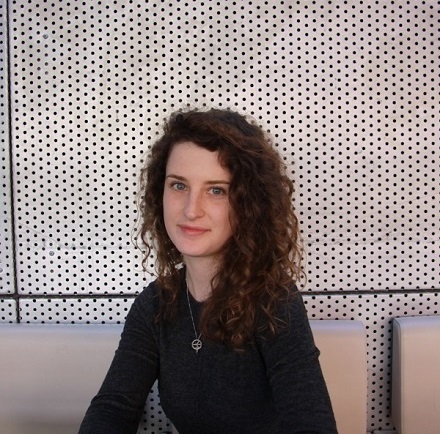 Project Arts Centre is delighted to announce that Neasa O’Shea Brady has been appointed the 2015 Assistant Curator of Visual Arts. Neasa recently returned to Dublin after spending time in New York as Distributions Assistant at Printed Matter Inc. and Exhibitions Intern at the Museum of Chinese in America.She comes to us from the National Museum of Ireland where she was assistant to the Head of Education at the Decorative Arts and History site. There, Neasa was involved in realising a number of projects including Beyond Pebbledash, which highlighted planning and design issues that Dublin’s evolving city-centre faces. Neasa holds a BA in Fine Art from the Dublin Institute of Technology. At her new position, Neasa will work alongside the Curator of Visual Arts, Tessa Giblin. She was selected from an impressive selection of candidates and we’re delighted to welcome her as part of the team. This year, she will play a central role in realising Project Art Centre’s expanded and internationally focused visual arts programme. We extend our utmost thanks to our outgoing Assistant Curator, Emer Lynch, who provided unyielding support in the research and realisation of two new commissions The Queen still falls to you by Hadley+Maxwell and A VOODOO FREE PHENOMENON by Garrett Phelan. Working alongside Kate Strain in 2014, Emer provided crucial support in the achievement of a number of live events including the Dive Bars as part of The Centre For Dying On Stage #1 and Coptalk by artist Chris Evans at three Dublin art colleges. We wish her all the best with her forthcoming independent curatorial projects including He saw the world and was left wanting at Siamsa Tire, Kerry and Foaming at the Mouth in Dublin and Amsterdam. Emer will also take up the role of Gallery Co-ordinator at Mother’s Tank Station in Dublin.